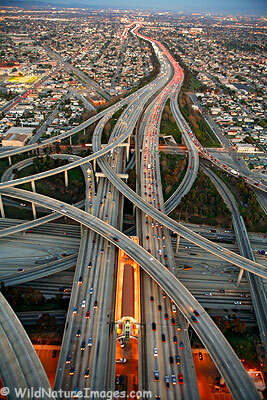 This is an aerial view of the 110 and 105 freeway in Los Angeles. 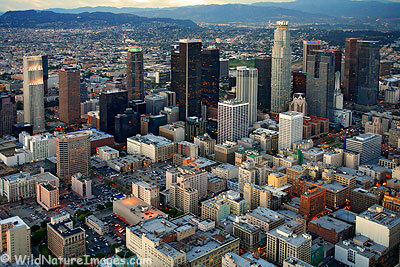 I thought I would share a few more Los Angeles photos from last spring. 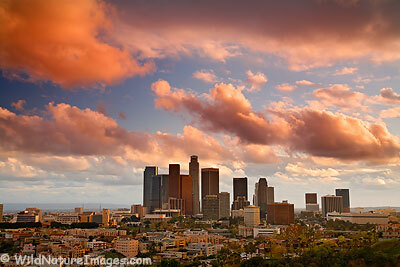 Downtown Los Angeles skyline at sunset from last March.